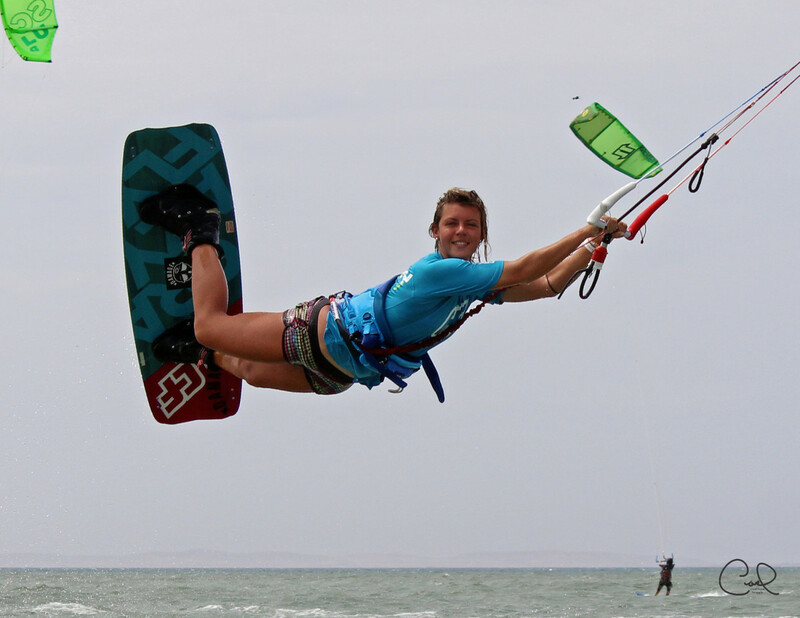 Liloo Gringa (Marie-Lou Fourré) is a professional kiteboarder from both France and Venezuela. 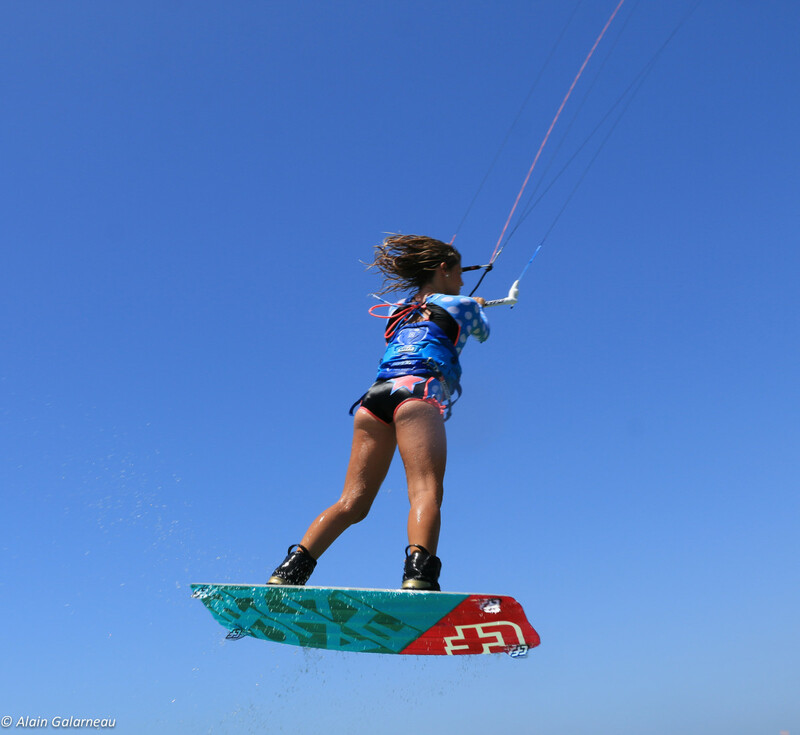 However, she is representing Venezuela on the international scene. 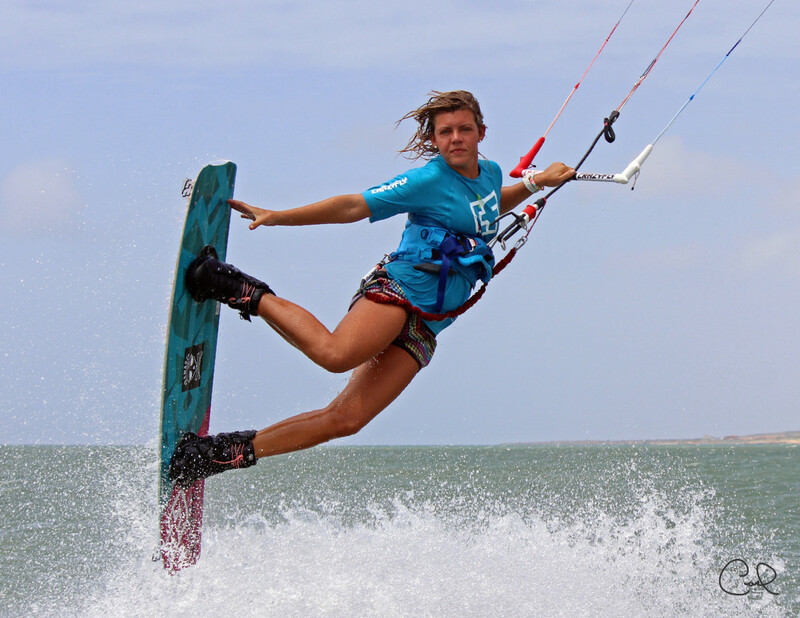 You must wonder why they call her “Liloo Gringa”. 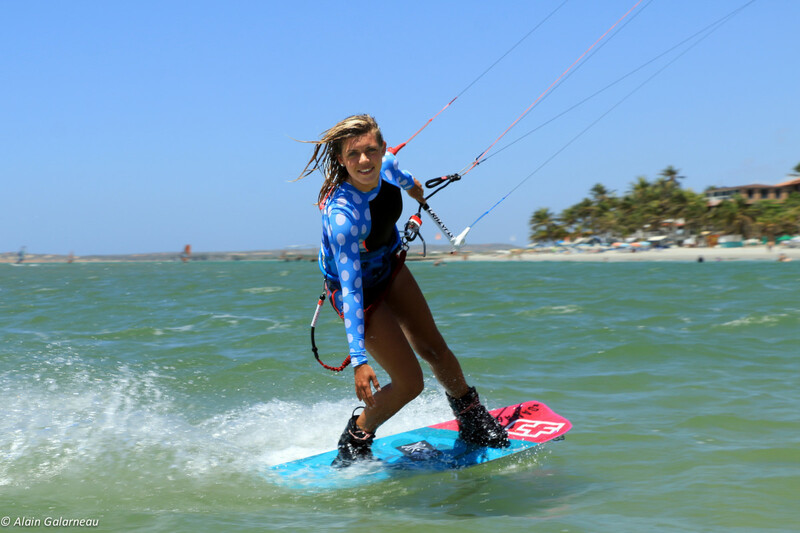 People in Venezuela call her Gringa just because it’s a nice name given to blond haired people with blue eyes! 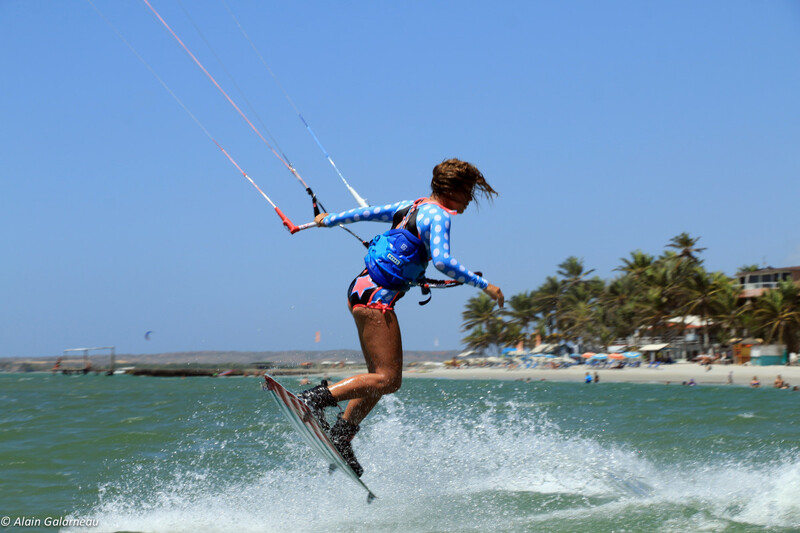 After obtaining her Master Degree in International Sport and Event Management in France, she decided to return to Venezuela to dedicate herself entirely to kitesurf. 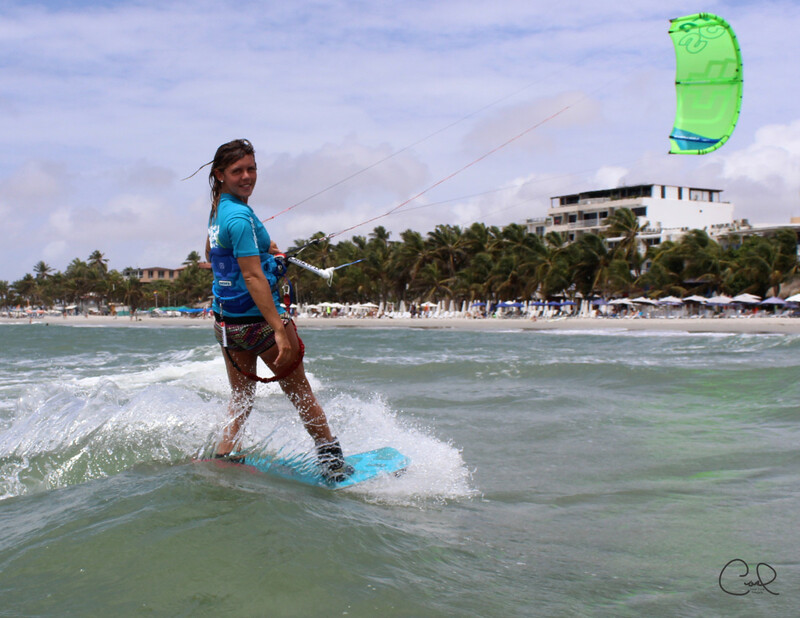 She started working as a Manager in a Kitesurf School in Playa el Yaque (Isla margarita, Venezuela) and training hard. 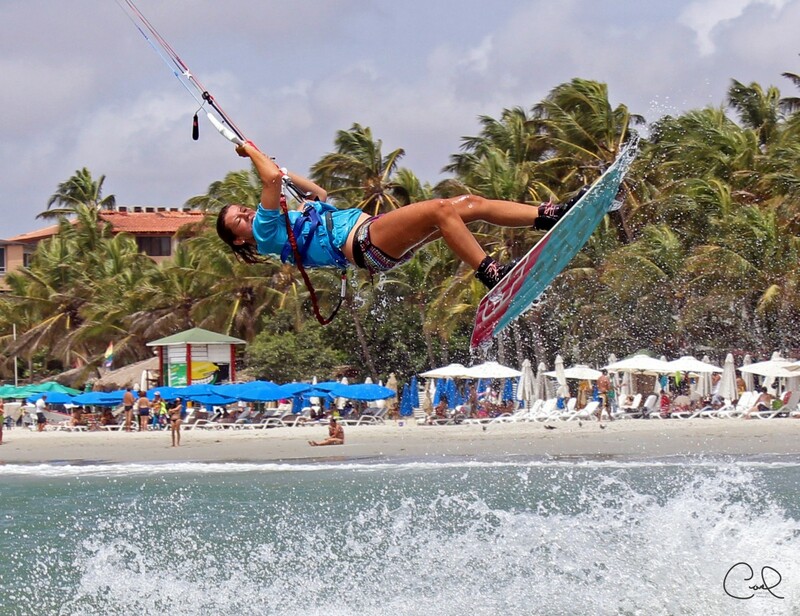 She decided one year and half later to attend the PKRA kiteboarding world championship in Freestyle, Slalom and Big Air disciplines where she represented Venezuela, the country of her Childhood and her heart. 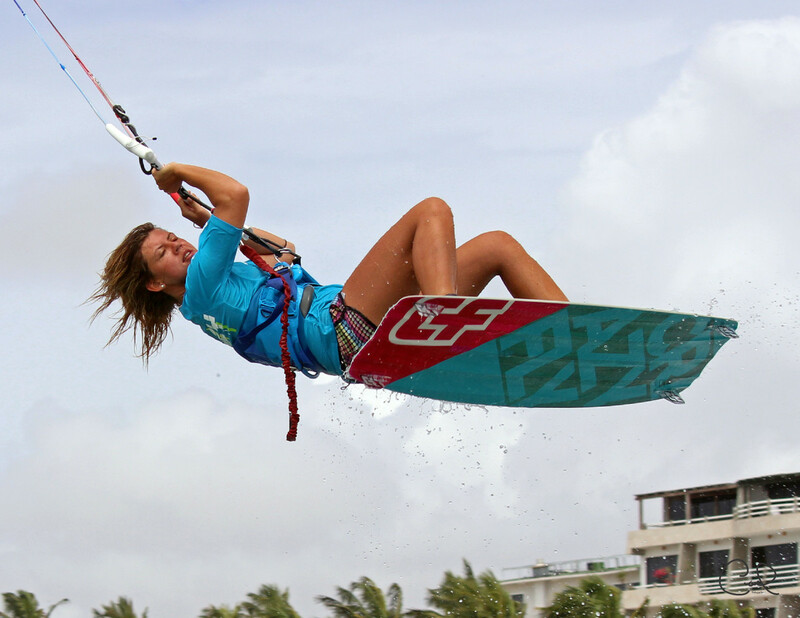 After two years of hard training, Liloo realized her dream : become a professional kiteboarder. 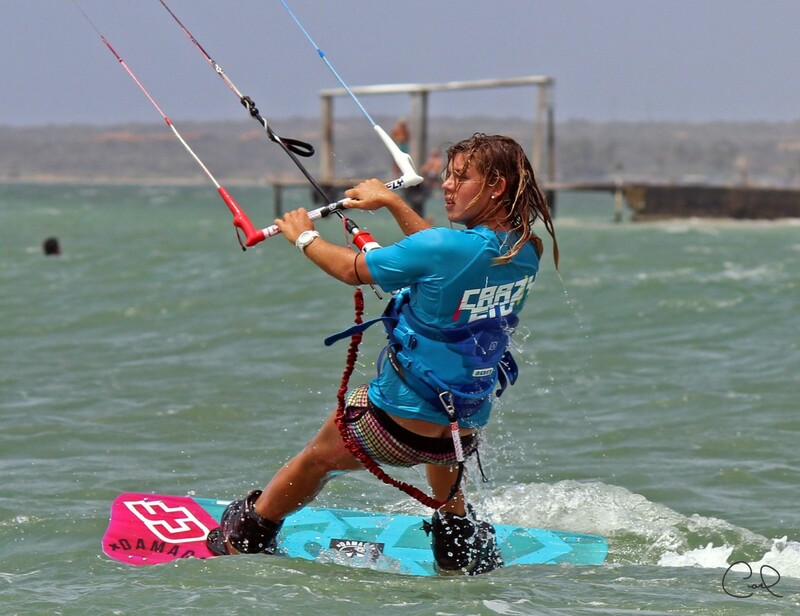 Liloo is actually Double National Champion of Venezuela in Slalom and Race Disciplines and will participate to the PKRA Tour this year (freest yle, slalom, big air). 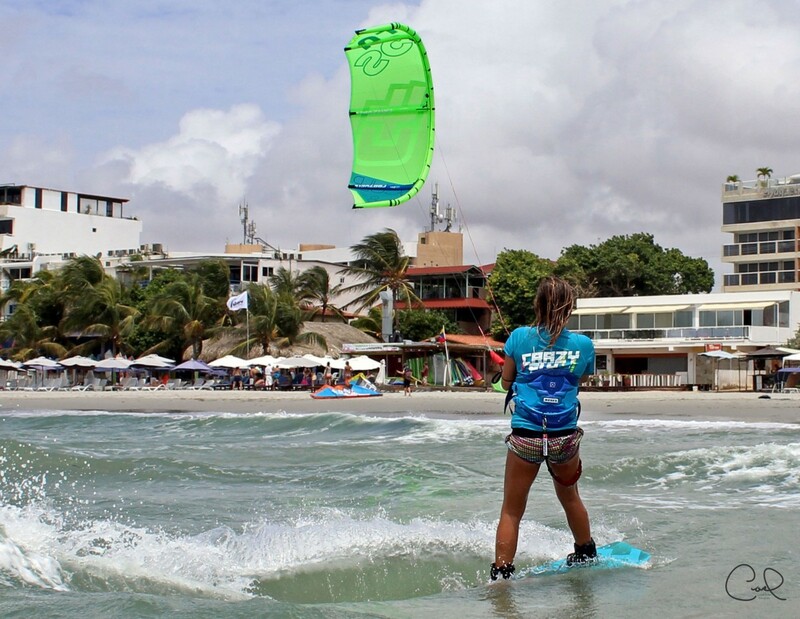 Liloo is also the godmother of a Venezuelan fundation called « El Yaque Extremo » which is dedicated to support children of Playa El Yaque to realize their dream to become windsurfing and kitesurfing champions. 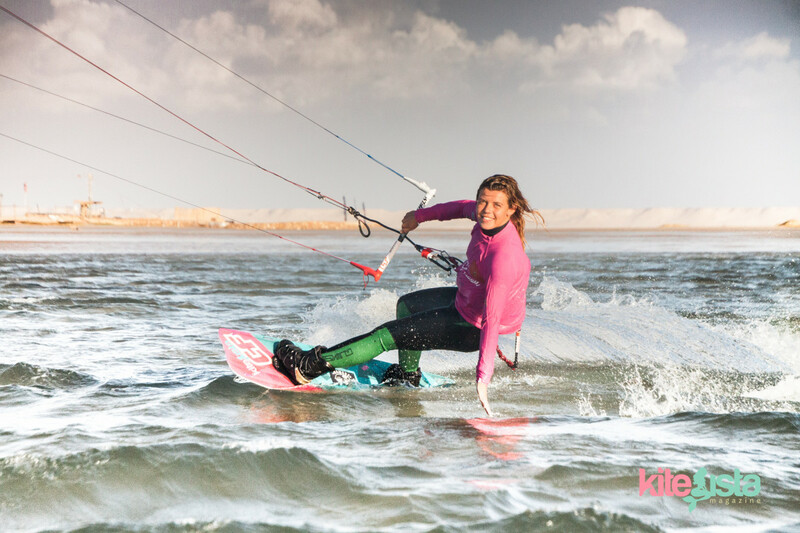 Concurrently with her trainings, she is working on different professional projects and she is organizing Kite Camps (“Let’s Kite”) with her best friend and professional rider Céline Rodenas in different parts of the world like Morroco, Brazil and Egypt. 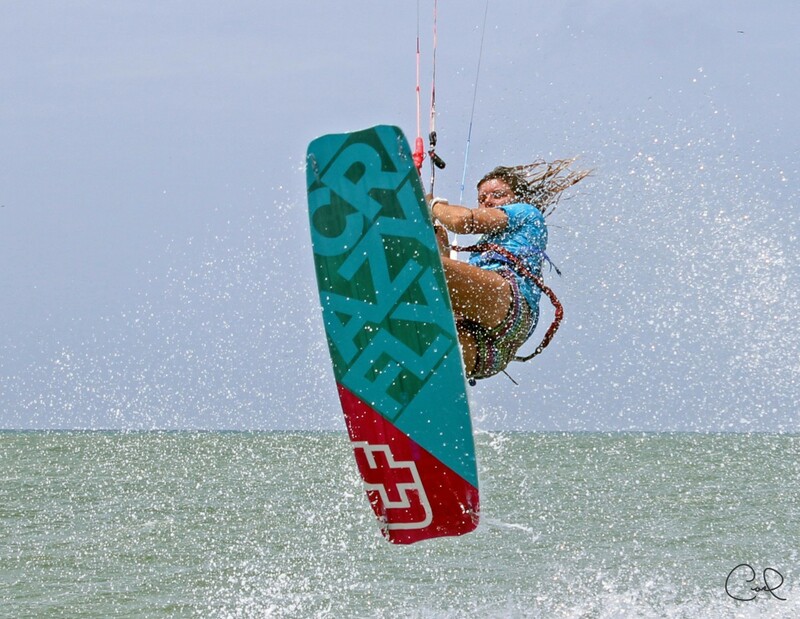 Liloo is Team Rider for Crazy Fly International, Kitesista (the largest online kite girl magazine), Damage Clothing and Hoku Swimwear. 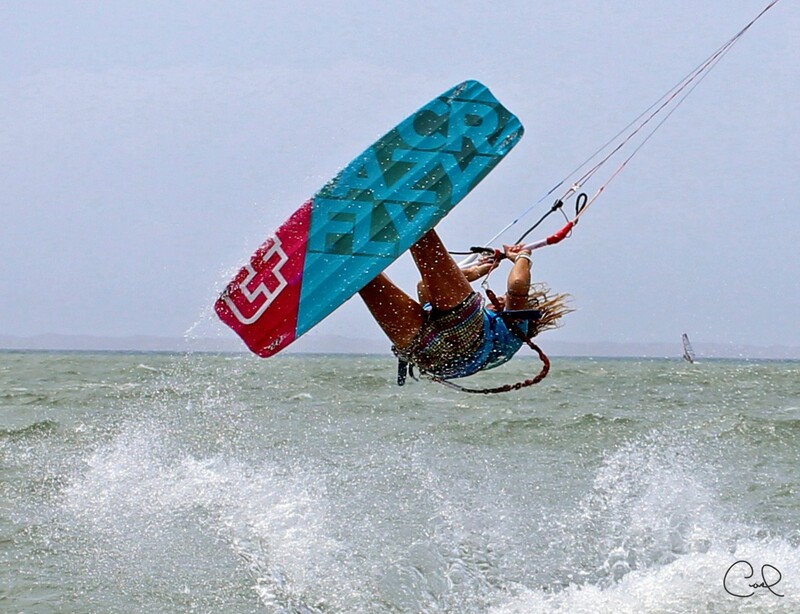 I daily seek to increase my kitesurfing level to gain good position in the world ranking this year and especially next year (freestyle and big air categories). 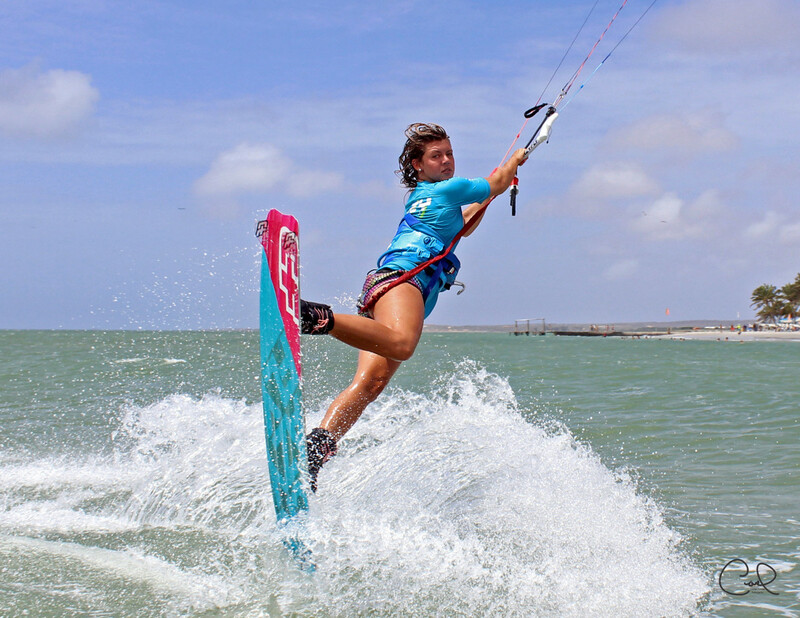 I’m looking also to combine my passion (kitesurfing) with my professional projects (which are currently under construction). 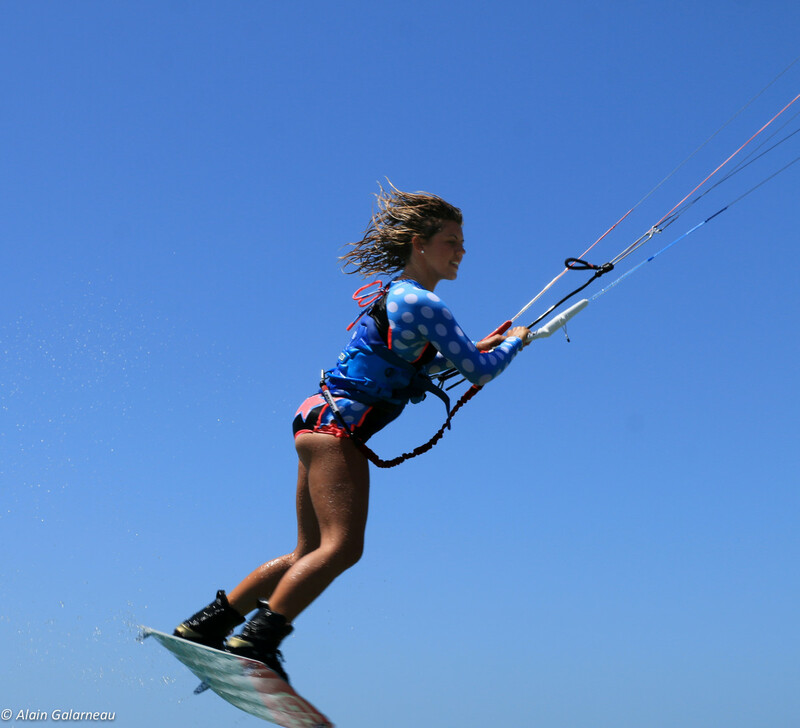 I would like, in the long term, to support young kitesurfing and windsurfing talents with the aim to help them participate in international competitions and get them international sponsors. I am someone who likes to accomplish her objectives. I also know that with motivation, determination and hard work, everything’s possible. 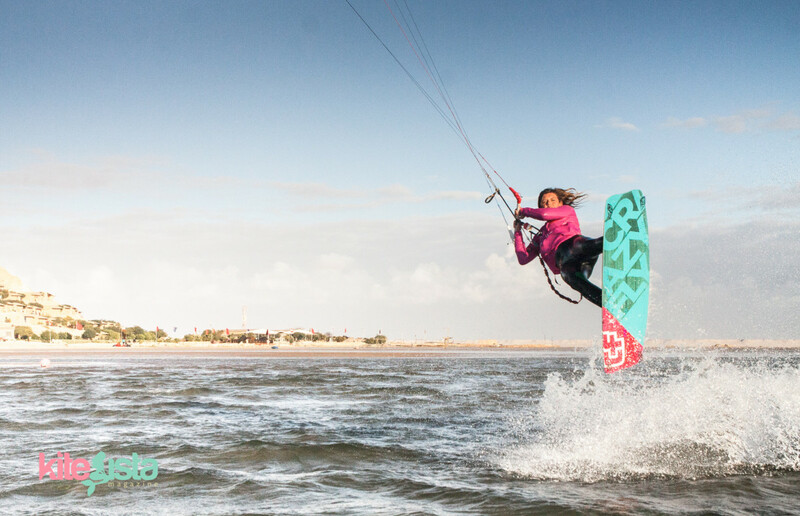 So I’d like to accomplish all the points I have listed above J .
Kitesurfing, like any sport at a professional level requires discipline, sacrifice and a lot of practice: no pain, no gain! 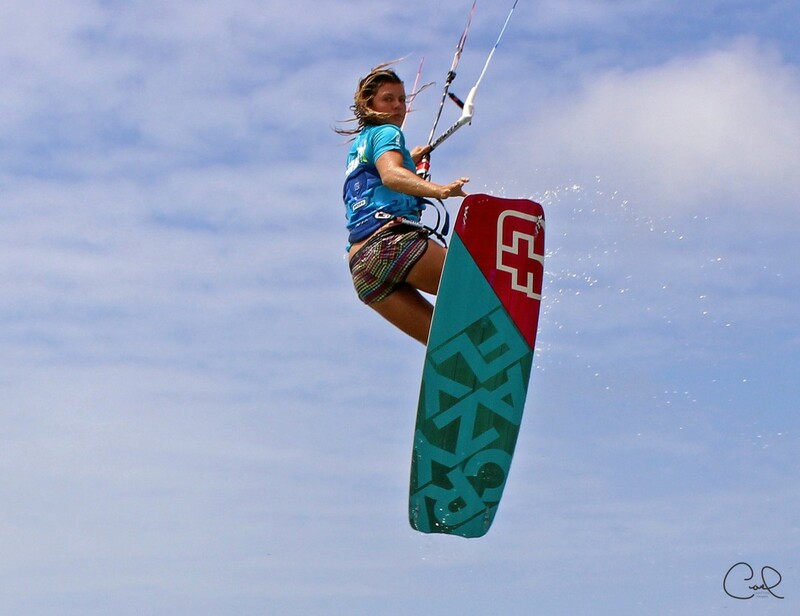 Managing climate conditions: it is very important to know how to land the tricks in every condition and with every kite size; it’s actually a difficult task to do. 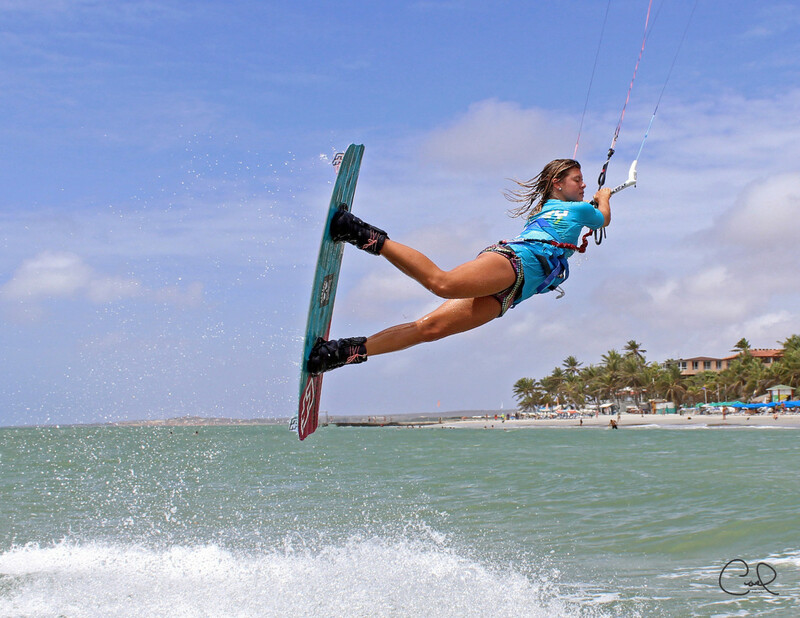 Therefore, it is necessary to train under any conditions to be ready to perform in competitions. 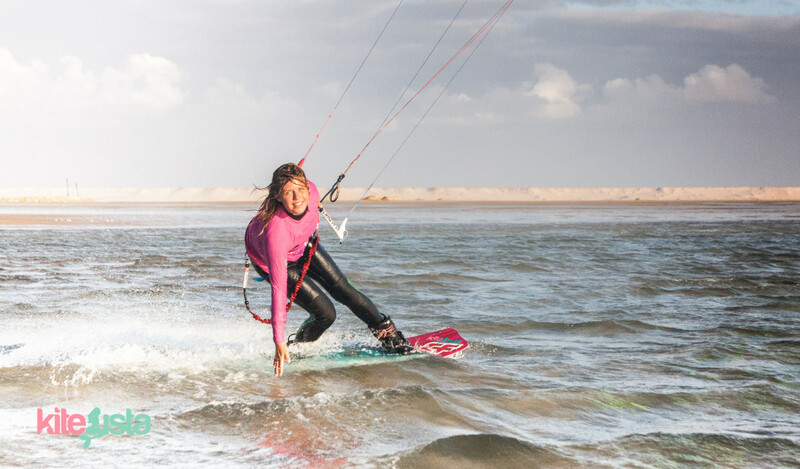 Managing stagnation times: it happens to all of us to have periods where you are not progressing for a while, which can be very frustrating but it’s important to know how to manage it and to never give up. 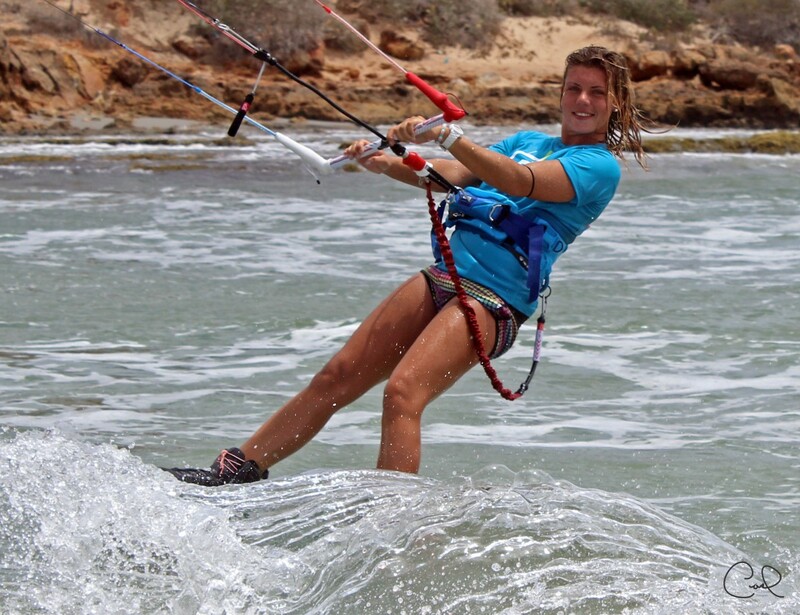 Managing injuries (which happen quite often): it’s something difficult because it could be very frustrating to be obliged not to train for a while because it slows your progression. 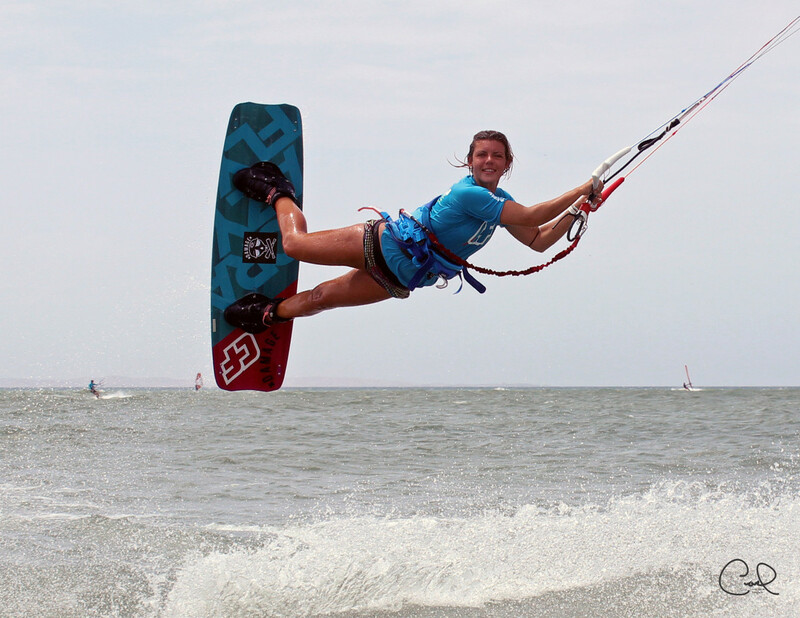 Kitesurfing is the most beautiful sport ever, it makes you feel free! 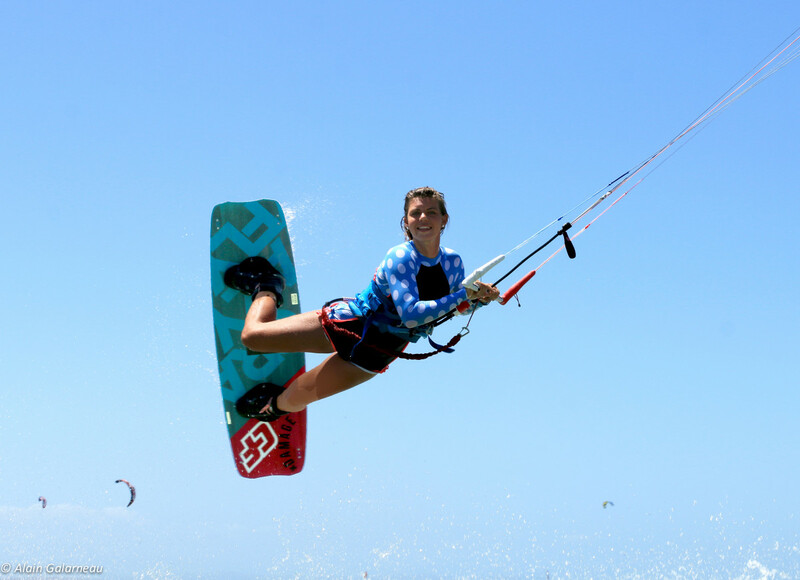 What I prefer when I’m kiting is the adrenaline while I’m jumping; it’s such a good feeling. 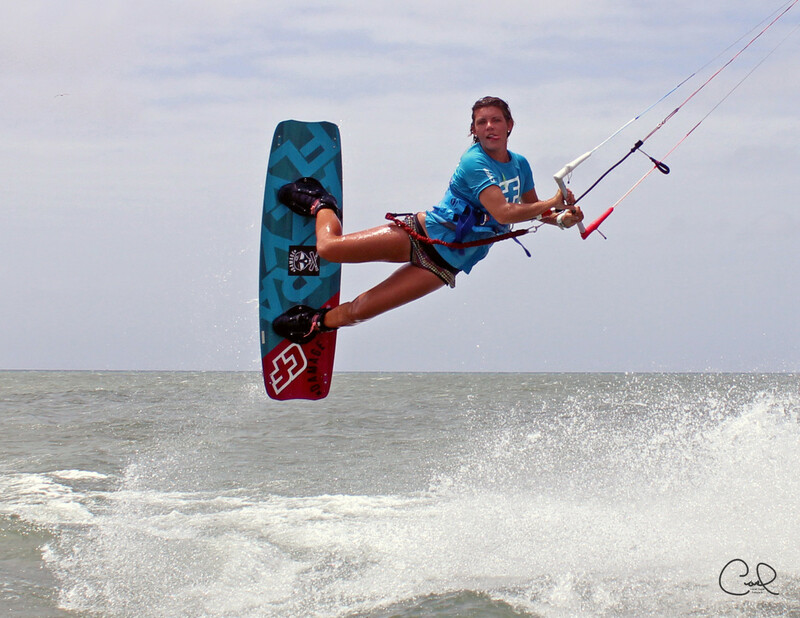 Another great feeling is to accomplish a new trick, even more when it took a while to learn how to land it. 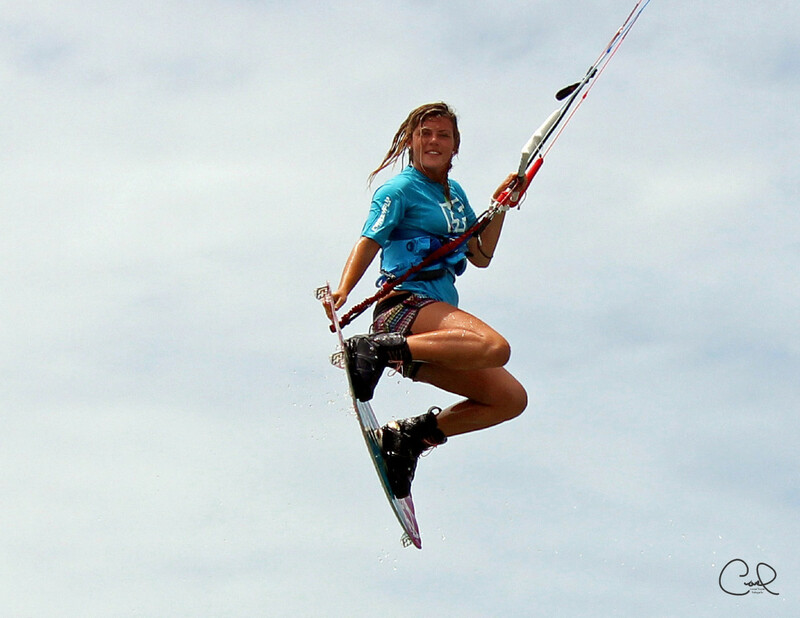 I can remember each day I landed each trick I know! 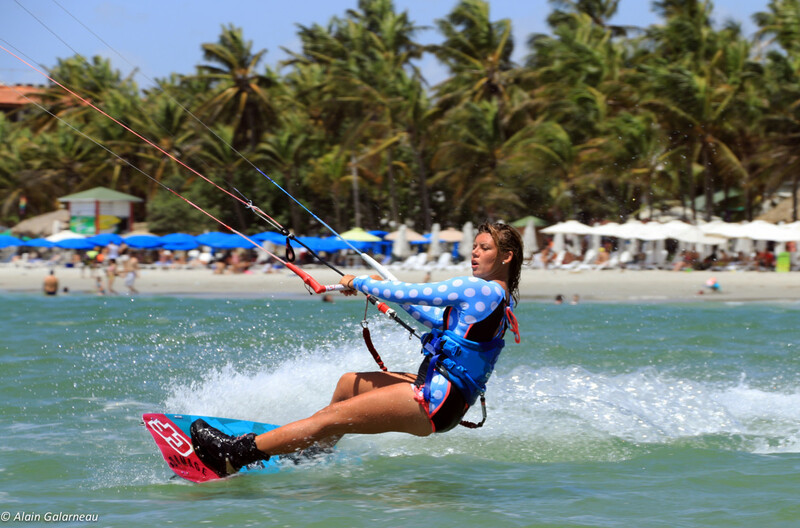 I practice at my home spot Playa El Yaque (Margarita Island, Venezuela), which is one of the best places for kitesurfing and windsurfing. 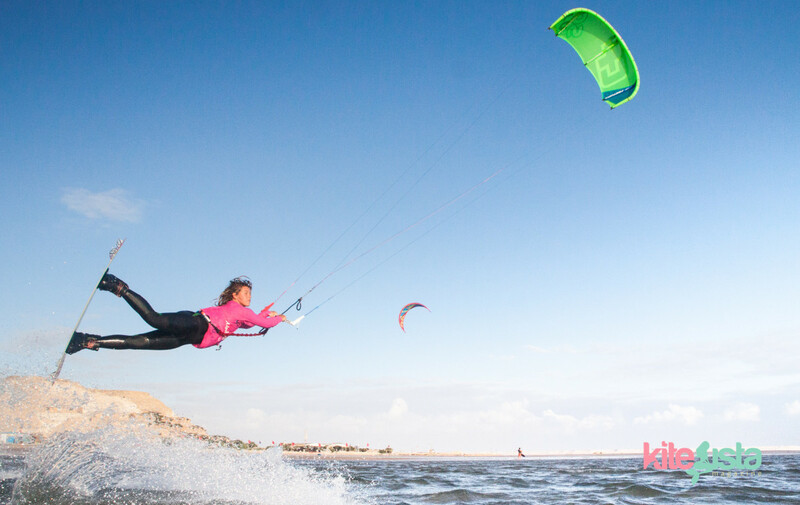 I’m combining my kite training with cardio exercises for endurance, muscle strengthening to avoid injuries, yoga stretching for flexibility and meditation for mind strengthening. 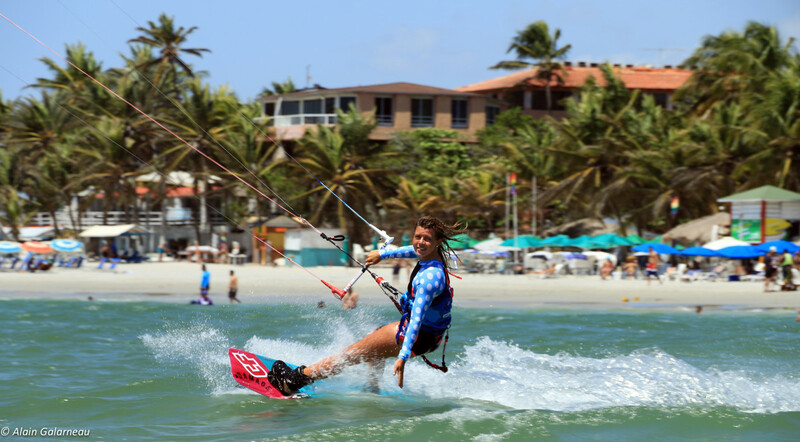 It is also very important to me to have fun while I’m training because kiting is, before everything, a passion and not a constraint. I’m most nervous about failing my landings. 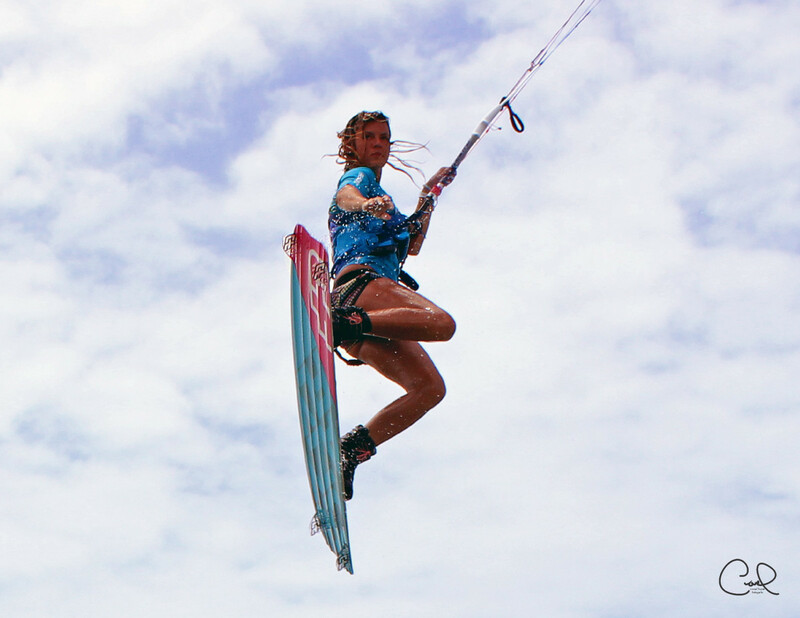 When I feel I won’t have the time to do all the tricks that I have in mind (the time flies during a heat). 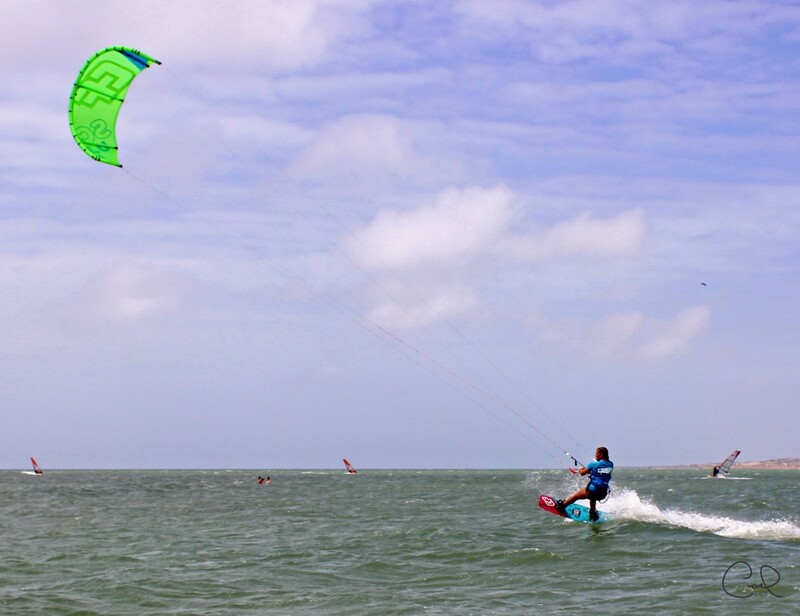 I’m also afraid to have problems with my equipment (lose or break my kite, etc…), which makes me lose loads of time of the heat. 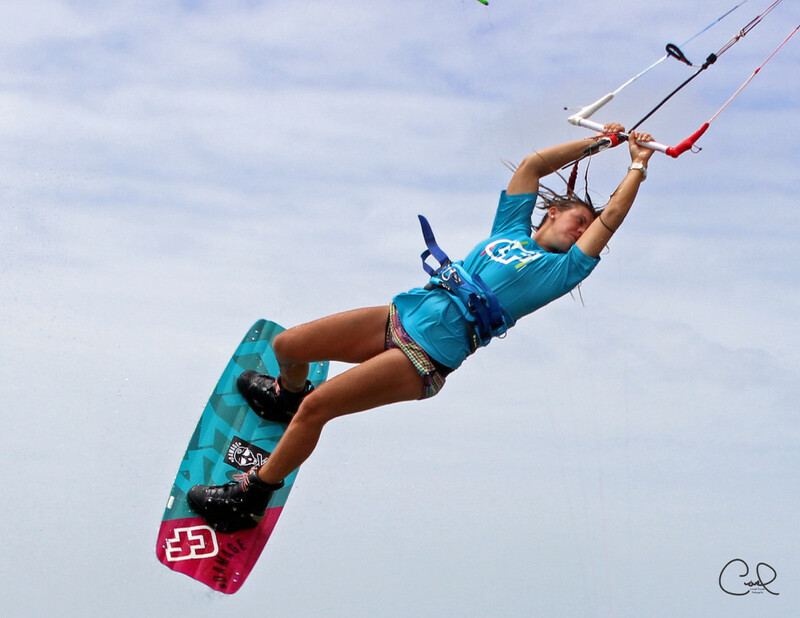 My biggest fan is my dad: he’s always there for me, he shows my pictures and videos to everyone he knows, keeps all my articles, he comes to my competitions when he can, he’s my best adviser, and he’s even learned how to kite! He’s my example in life and I’m so happy to make him proud. He’s one of my biggest pillars and I could never thank him enough for everything he has done and still does for me. 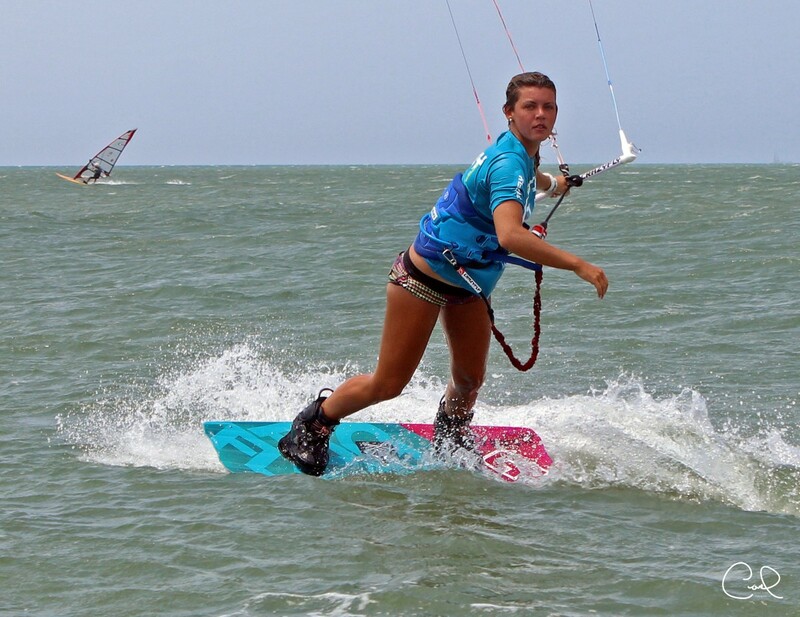 My futures plans are staying in Europe to keep training hard, working on my professional projects and participating to VKWC world events that will take place in Spain and Germany this year. I will tell them to have fun! And even if it’s very hard at the beginning, don’t give up, if you want to, you will make it for sure!